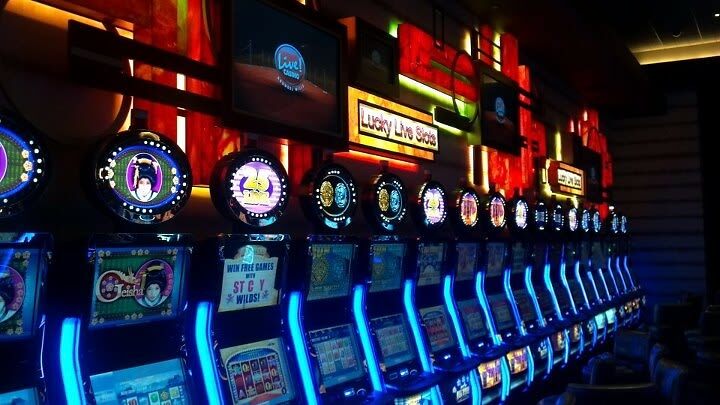 We are still not exactly sure if this sudden influx of "casinos" to Maryland is really bad or really awesome, but this new center is something we are a little bit excited about. Rams Head Center Stage opens this weekend, and it will not only include video slot machines and electronic blackjack, but live bands, too. The venue promises live entertainment seven nights/week, with local favorites like Mr. Greengenes (Sept 7), Burnt Sienna (Sept 29) and Kristen and the Noise (Sept 30) scheduled to play. According to the Washington Post, the venue is owned by the Rams Head Group, which also runs Rams Head Tavern in Annapolis and Rams Head Live in Baltimore. The venue is a part of the Maryland Live! Casino in Arundel Mills. The reviews have been lukewarm, but nevertheless, it is there, and it's a nearby option for gambling compared to Atlantic City or Las Vegas. Two of the biggest complaints are the lines to redeem vouchers and hit the ATMs are too long, and the fact that it's more like a room of video games...there are no dealers. The big upsides are the food options, and the cleanliness and the modern look and feel of everything. For any local statisticians that are into winning odds, Maryland has a minimum payback requirement of 87%, and West Virginia requires a minimum of 80%. Charles Town pays back an average of 89.75%, according to American Casino Guide.